Our right to claim what is or is not OK for us in relation to others is essential to our well-being. When we’re unclear about this, we’re left carrying a burden of anxiety and stress. Boundaries protect the core of our identity and our right to make choices. They keep us free from resentment, so we can say what we need to say firmly and without an unspoken edge. You feel unable to say ‘no’. When asked what you want, the answer is often ‘I don’t know’, or ‘it doesn’t matter’. You are overly sensitive to criticism. You pride yourself on ‘going with the flow’. You are afraid of causing offence with your words. You feel for the emotions of others. Take care of others’ needs, but not your own. You are concerned about what others think to the point of discounting your own thoughts, opinions and intuition. You believe your happiness depends on others. Your feel that your partner is over-dependent on you emotionally or financially. The opinions of others are more important than your own. Have difficulty asking for what you want or need. You are unsure where duty ends and your individual rights begin. You feel anxious or afraid much of the time. You are not sure what you really feel. You take on moods or emotions of others around you. It is a feeling familiar to most of us when we feel a sense of pressure about meeting the social or working demands of life, and it is as if we’re being eaten alive, used and mistreated by others. The pressure comes from the feeling that we don’t have a choice, prompting resentment and a longing to withdraw and be free of all those demands. On a mundane level, this might be experienced as something like feeling guilty if you don’t click the ‘like’ button on the Facebook posts of your friends, or fearful of causing offence because you need to refuse a request for your time and attention. For some people these things fuel a constant state of guilt and enormous stress. To say ‘no’ can carry with it such a burden of fear at the consequences that we comply against our better judgement, even to the extent that our sense of identity is challenged. Gradually, as this scenario is played out repeatedly, we get the feeling that we are somehow invisible to others and disrespected by them. Sometimes instead of withdrawing, we can be driven to explode with our "no!” in a way that seems like an act of basic survival. Or we find ourselves behaving cruelly or tactlessly in a way that we feel guilty about afterwards. This fear at causing offence is sometimes quite unconscious, it is so familiar that it is like the air we breathe. In counselling and psychotherapy we can explore our sense of our boundaries, and how they work for us, or against us. By working together with someone non-judgemental, with whom we feel safe, it is possible to express what we feel and say what we need. This can be very difficult yet bit by bit, or in moments of dramatic epiphany, it leads to empowerment and a more confident sense of self. An example of how this may play out in practise is when we, the client, feel somehow ‘used’ or hurt by something the therapist has said or done. We might feel that there is something insensitive about the therapist’s always ending the session on time. We may not say anything, and carry the resentment through until the next session. If this remains hidden it might cause the end of the therapy as we appear to comply, withdraw or become angry and then leave the therapy. Yet the effective therapist will pick up on this unexpressed feeling, and gently help us to speak of it. In this way we experience our own boundaries becoming firmer and clearer, and we are released from resentment. In a safe place we can discover that the other person will survive our expression of our needs, and that we and the relationship thrive. In this way it is possible to undo the damage of past conditioning that has its roots in abusive relationships, and/or early childhood. Often despite our caregiver’s best intentions for us and because of misunderstanding, we were shamed, humiliated or punished for expressing our needs. Many of us learnt that it was ‘bad’ to put our needs before the needs of others, or perhaps we learnt that it was necessary to impose our own demands too forcefully because we expected to be over-ridden. 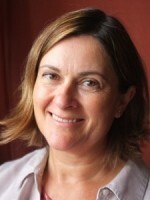 Aubyn de Lisle is a UKCP registered transpersonal psychotherapist working with adult individuals in Market Harborough, Leicestershire, and in Little Venice in Central London.